Students with ADHD can be creative and innovative. And while some children with ADHD may miss the details, they can be big picture thinkers who are imaginative in their approach to problems. The creative energy that comes with these students can be directed in a way that encourages academic success and fosters the imagination. In the classroom or at home, it can be difficult for ADHD students to sit still. So why make them? Before asking for volunteers to clean the board, pass out papers or run an errand, why not inquire: "Who needs to get up and move around?" You can also try asking, "Do you feel like you have energy right now?" Asking these questions helps students to become self-aware. Once a small part of their physical energy is spent, many students feel more clear-headed and ready to focus on a task. Sometimes, ADHD students have too many thoughts and knowing what to do with them is a challenge. Instructing children to write side-thoughts or off-topic conversational items on a separate sheet of paper acknowledges their ideas, allows them to concentrate on the current lesson, and provides a resource for future projects or class discussions. The Idea Paper gives the student permission to daydream and have side-thoughts, but brings them back to the current lesson (or task if the child is at home). Class time or extracurricular time can then be spent on using some of the ideas written on the Idea Paper. Summer is a time for imagination. Unstructured play and fundamental childhood activities like reading and play encourage the creative side of ADHD students. From Carl Sagan's Cosmos to the mythology of the Ancient Greeks, all forms of reading nourish the imagination. A student might create a short story from reading about the universe or think of a new character name from mythological sources. Students can write down their story ideas in a journal. The creative thinker might decorate his or her stories with pictures, stickers or movie quotes. 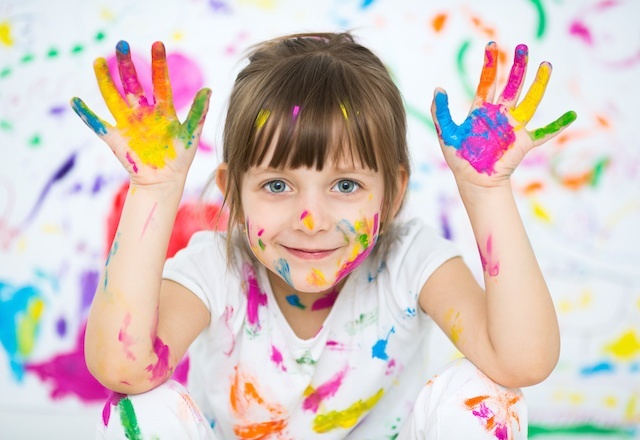 Mixing media can foster inventiveness in the ADHD child. A creative writing camp that allows stream-of-consciousness and mixed-media compositions is also a good option. Many children with ADHD need to spend their physical energy in order concentrate and recognize ideas. Summer camps that incorporate individual choice with physical activities are great for these types of students. For example, a dance camp that instructs the dancer and asks them to create original choreography would prove beneficial. From summer activities to classroom techniques, the ADHD student should be proud of their creativity and the unique ideas they can share. If your child’s long-term issues with inattention, hyper behavior, and impulsivity are preventing his or her success, we invite you to consider the Brain Balance Program. Our unique integrated approach helps your child achieve optimum body and brain function, which supports improved learning—academically, socially, and emotionally. Contact us today to learn how we can help your child.